Specifications Size: 14" x 17"
On popular demand the A25 backpack is also made from a 4.5 oz natural cotton and comes with a cotton drawstring closure which can also be used to hang the bag on your back. We are offering our esteemed customers an outstanding promotional back packs manufactured with supreme-grade basic fabrics, these products conform to prevailing market trends. These bags are suitable to be used for promotional and gifting purposes owing to their magnificent designs. To cater to the diversified demands of the clients, we have made these products in different sizes and colors. Enriched with varied industrial experience in the industry, we offer wide range of Pocket Tool Backpack that is used to keep the things in systematic manner. They protect the tools from adverse climatic conditions and are delivered in standard sizes. They are light in weight and are delivered in standard sizes. Furthermore, we offer them with customized solutions. We manufacture hi-quality backpacks, customized as per our customer requirement. 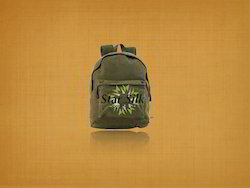 We provide Promotional Backpack as per your requirement. We offer Promotional Backpack which are available in various colors and designs, our bags are offered with immense options to choose from. Our offered range of School Pithu Bag is a combination of extraordinary designs and fine finish. We manufacture pithu bags such as Arrow College Pithu Bag. 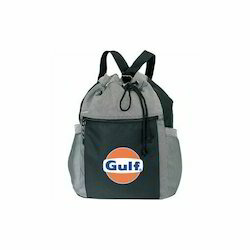 We are the renowned manufacturers, exporters and wholesalers of advertising or corporate promotional and gift backpack bag.